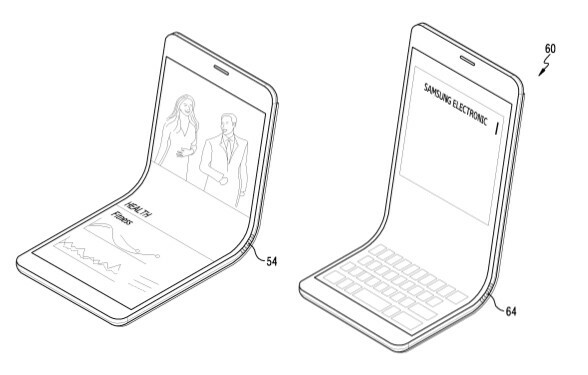 As you guys might remember we have already created a concept design of the Galaxy X a couple of months back which was based on patent document leaks and had a dual display design(see it here), but now a new set of patent images has leaked which suggest a single display design of foldable smartphone which has similar functionality of clamshell design and would be called as Galaxy Wing. According to the patent filed the smartphone seems to have infinity display design of Galaxy S8 except this one has a flat display without the curved edges, while it has the capability to bend itself at the middle like a clamshell smartphone making a compact from factor. Here on this Galaxy Wing concept design we have made it more appealing by trimming of the bottom bezel while retaining the top bezel for the camera, retina scanner and other important sensors . We have also added the bendable design as mentioned in the patent document and added a bit of Kevlar fabric over the folding portion for better durability and premium feel. 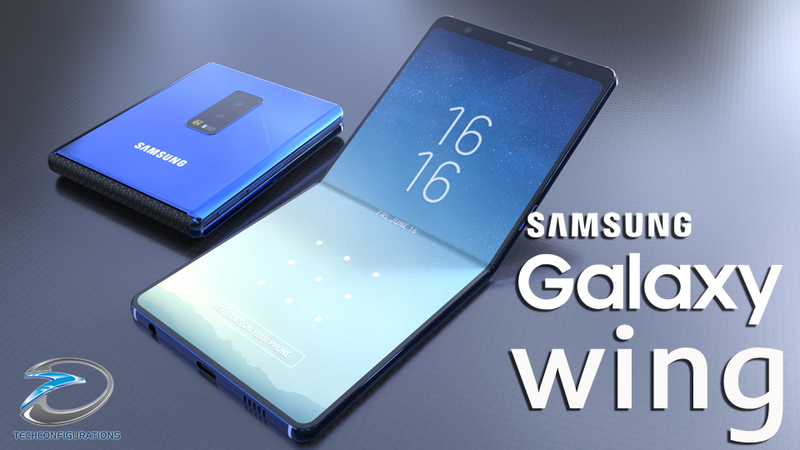 On this Samsung Galaxy Wing concept we have used a 7inch display design which can be easily folded to a very compact form factor which would make it convenient for the user to carry it around . So the Samsung Galaxy Wing concept has 7inch 4K AMOLED display with in display finger print scanner. it would be powered by Snapdragon 855 chipset, 6/8 GB of RAM with 128/256/512 GB of ROM. Finally, the Samsung Galaxy Wing has a dual 12+12MP vertical primary camera with variable aperture of f1.5/2.4 with 4K video recording at 60fps . For self-portraits, there is a 8-megapixel front camera with f1.7 apeture accompanied by a retina scanner for secure unlocking .